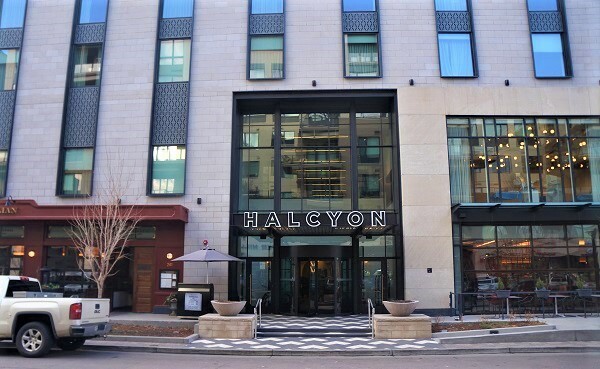 The Halcyon hotel in Cherry Creek has a new owner. And it plans to replace the Departure restaurant within it with a new concept. Denver-based Sage Hospitality announced Monday that it and development partner BMC Investments have sold the 154-room hotel to Columbus, Ohio-based Rockbridge Capital. Sage did not disclose the sale price, and the transaction had not been recorded as of press time. The deal included the real estate as well as the Halcyon and B&GC brands, which were developed and trademarked by Sage, the company said. B&GC is a speakeasy-style bar within the hotel that will continue operating. The deal did not include the Departure Restaurant + Lounge brand, so the restaurant has closed. Brent Berkowitz, chief operating officer of Sage Restaurant Group, said in a statement that Departure is looking for space elsewhere in Denver. 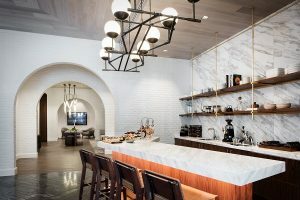 Halcyon’s August 2016 opening kicked off a wave of additions to the Cherry Creek lodging scene, which previously had one upscale lodging option, the JW Marriott at 150 Clayton Lane. The Moxy (also developed by BMC) and The Jacquard Hotel opened within a year of Halcyon. On Monday, the cheapest rooms shown on Halcyon’s website for a variety of upcoming dates were about $200. Rockbridge, Halcyon’s new owner, did not respond to a request for comment. The company said on its website that it owns approximately 225 hotels worth a cumulative $6 billion in 38 states. A map of the company’s portfolio does not show any other holdings in Colorado. Rockbridge has tapped Dallas-based Makeready to operate Halcyon. According to its website, Makeready operates three hotels, in Dallas, Nashville and Savannah, Georgia. The company also operates a number of independently branded restaurants in those and other hotels. A Makeready spokeswoman declined to comment on plans for the restaurant space.